The Program is Challenging, but it's fun too! At Breakthrough Atlanta, students teach students. Inspiring Students, Developing Teachers… Together, We Are Breakthrough Atlanta. To meet the challenges of today’s world, students need an edge. At Breakthrough Atlanta, we help them find it. 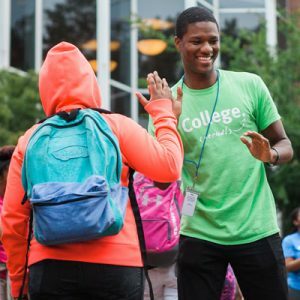 Grounded in the philosophy of students teaching students, Breakthrough Atlanta is a very special program that enhances the social and academic qualities that help students get ready to transition to-and succeed in-college. It’s like getting a head start on life. 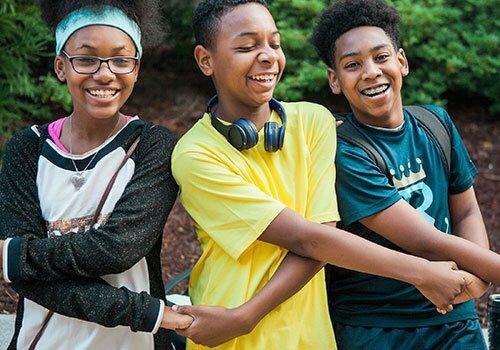 Breakthrough Atlanta pursues a dual mission to: increase academic opportunity for highly motivated, underserved students and get them into college ready to succeed; and inspire and develop the next generation of teachers and educational leaders. 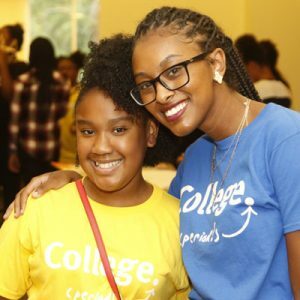 Since Breakthrough Atlanta’s beginning, the program has served more than 400 young teachers and more than 1,900 students from Metro Atlanta’s public schools. Of those students served, 85% have gone on to college. 62% were the first in their families to attend college, ending a cycle of generational poverty. READY TO JOIN THE BREAKTHROUGH FAMILY?